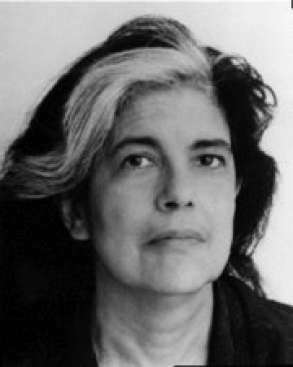 I have always been fascinated by Susan Sontag. I envied her seeming crystal-sharp intelligence, her confidence in her opinions, her strength in writing, her omnivorous reading. While I certainly have not read everything of hers, I have read quite a lot. Once as a reader for The Franklin Library’s First Editions, I read the galleys of The Volcano Lover, her historical novel about the triangle between Sir William Hamilton, his wife Emma and Lord Nelson. It was the first piece of fiction of hers I had read. Like all of her writing it was intelligent, sharp and incisive. And it had a truth that can only be found in fiction. Her following novel, In America, was not as satisfying for me–it seemed undone. Or perhaps overdone, might be a better word, for the brilliant characters and storyline are over-examined and over analyzed as if Henry James were writing the screenplays for MadMan. The novel is crushed by the intelligence. However, I have read much of her non-fiction: Against Interpretation and Other Essays (1966), On Photography (1977), Illness as Metaphor and AIDS and Its Metaphors (1978 and 1988) and Regarding the Pain of Others (2003). (The Illness as Metaphor book was revamped in 1988 in order to address the scourge that was AIDS in the 1980’s.) It is this non-fiction, her essays that make her an major figure of the late 20th-century. It is in these essays that the true brilliance shines. Hers is a hard intelligence, but a very clear intelligence. Her Against Interpretation gave readers an argument “against what something means” and for “what something is.” It includes insightful–and new–readings of Sartre, of Beckett, of Bresson, among others. Illness as Metaphor moves us from the tuberculosis and consumption that affected so many of the 19th century’s literary characters and creators to the cancer that became the overriding metaphor of the twentieth. On Photography discusses the relatively new art of photography–only since the mid-19th century– in a way that will change how even the most amateur viewer–myself– views photographs again. And at the beginning of the second Iraq war, I once gave a section of Regarding the Pain of Others to a class of 18-year olds, and it surprised me how well it worked with theml. A few years ago, I went to the Brooklyn Art Museum to see a photographic exhibit on Sontag by Annie Liebovitz, perhaps America’s most famous and celebrated portraitist at the time. Liebovitz–who had had a decades long romantic relationship with Sontag–captured Sontag’s final years, among family and friends. Many of them were during her final days, during her final battle with cancer. To this day I don’t know if I am more affected by the words Sontag wrote or the images of her that I saw that day. Both, suggest an admirable toughness and wit. What I also don’t know is why today, the NYTimes decided to publish a sampler of Sontag’s work in the Week in Review section of the Sunday paper. There is no anniversary that I know of. It just appeared. But good, it made for a good read on a Sunday morning, and a good afternoon going through some old books. The excerpts are just that–excerpts–but they show the range, the depth and the honesty of her writing and her mind. The article is below: enjoy it. People say “it’s boring” — as if that were a final standard of appeal, and no work of art had the right to bore us. But most of the interesting art of our time is boring. Jasper Johns is boring. Beckett is boring, Robbe-Grillet is boring. Etc. Etc. Maybe art has to be boring, now. (This doesn’t mean that boring art is necessarily good — obviously.) We should not expect art to entertain or divert anymore. At least, not high art. Boredom is a function of attention. We are learning new modes of attention — say, favoring the ear more than the eye — but so long as we work within the old attention-frame we find X boring … e.g. listening for sense rather than sound (being too message-oriented). If we become bored, we should ask if we are operating in the right frame of attention. Or — maybe we are operating in one right frame, where we should be operating in two simultaneously, thus halving the load on each (as sense and sound). There is no one right way to experience what I’ve written. But that doesn’t mean “I” “really” “think” that. It only means that is my-thought-when-writing (or when- talking). If I’d written another day, or in another conversation, “I” might have “thought” differently. Being in love (l’amour fou) a pathological variant of loving. Being in love = addiction, obsession, exclusion of others, insatiable demand for presence, paralysis of other interests and activities. A disease of love, a fever (therefore exalting). One “falls” in love. But this is one disease which, if one must have it, is better to have often rather than infrequently. It’s less mad to fall in love often (less inaccurate for there are many wonderful people in the world) than only two or three times in one’s life. Or maybe it’s better always to be in love with several people at any given time. Things I like: fires, Venice, tequila, sunsets, babies, silent films, heights, coarse salt, top hats, large long- haired dogs, ship models, cinnamon, goose down quilts, pocket watches, the smell of newly mown grass, linen, Bach, Louis XIII furniture, sushi, microscopes, large rooms, boots, drinking water, maple sugar candy. Things I like: ivory, sweaters, architectural drawings, urinating, pizza (the Roman bread), staying in hotels, paper clips, the color blue, leather belts, making lists, wagon-lits, paying bills, caves, watching ice-skating, asking questions, taking taxis, Benin art, green apples, office furniture, Jews, eucalyptus trees, penknives, aphorisms, hands. 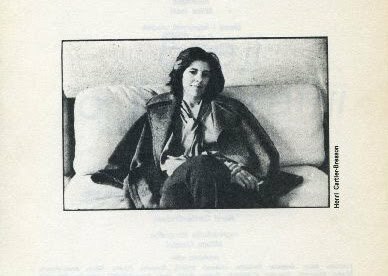 This material is excerpted and adapted from the forthcoming book “As Consciousness Is Harnessed to Flesh: Journals and Notebooks, 1964-1980,” by Susan Sontag, edited by David Rieff. A version of this was originally published in the NEW YORK TIMES, April 1, 2012. Thank you for posting this article John. And I am not only reading, I am also thinking of what you say and enjoying, so the reward is even bigger.